Aunt Mil … Better Because Your Eyes Lit Up! Everyone needs someone in their life who enthusiastically invites them to exist in their presence. Thank you, Aunt Mil, for your warm welcome into the world. 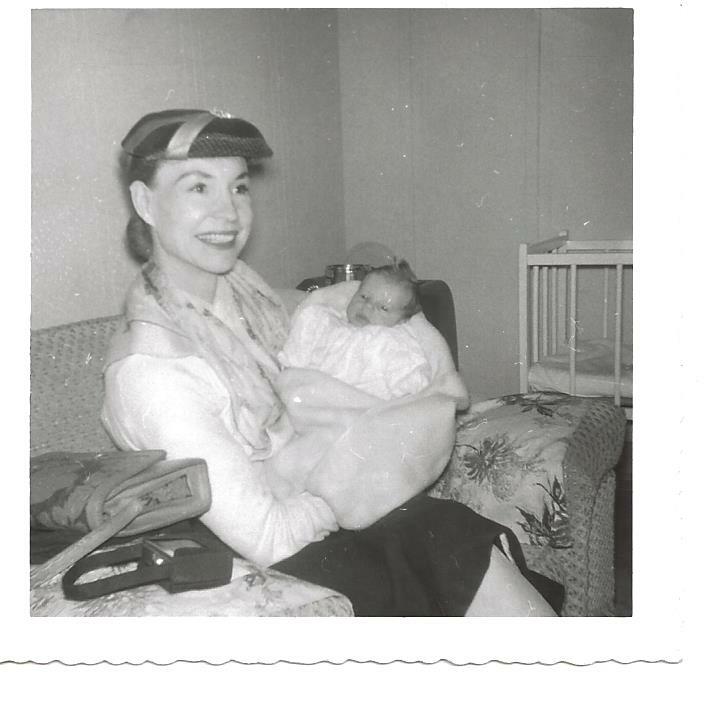 You were holding my newborn self in this picture … and … little did I know, but you would continue to hold me in so many ways significant ways over the years to come. Thank you Aunt Mil … for the light in your eyes and the love in your heart that eagerly rolled out to greet us when we traveled six hours to see you. I will never forget how your arms were so enthusiastically out-stretched (as far as they could possibly reach!) to embrace us as quickly and tightly as humanly possible! It makes my heart smile when I recall you saying … with heartfelt and joyous conviction “Get IN here!” I really needed to hear that passionate invitation to exist in your presence and you offered it … over and over and over again. Thank you for inviting me to feel like it really mattered that I was on the planet. Thank you for all your unspoken understanding. Thank you for holding me, holding my heart and being the loving spirit I needed when my mom (your little sister) was simply not able to be there for me due to her mental, emotional and physical ill-health. Thank you for seeing the ‘truth’ of my childhood experience despite my best efforts to conceal it … and … inspiring me to create something better (without ever actually uttering a word to me about it). I treasured how your eyes would always greet my heart with such exuberant energy. Maybe you knew how much I needed that too. Thank you for giving the kind of hugs that made me feel like you really meant it! Thank you for your energetic radiance … and for daring to live ‘bigger‘ than you were ever supposed to … especially as a woman – way back in those days. Thank you for boldly setting the bar higher for who and what all women could actually consider doing and becoming. You bravely traded the image of ‘poor widow’ in exchange for ‘brilliant, capable and competent business woman’. And you did it with such panache … such bold, charismatic and elegant flair! Thank you for inspiring me to believe I could take whatever life dished out … and … transform it into something better! Thank you for teaching me that we should never let life’s challenges dictate our outcomes. Coffee persistently boiling over on the stove. You said it wasn’t sufficiently “dee-lish” until it bubbled up and over onto the burner and left a big ole mess to wipe up … or not. The numerous summers I spent with you … amusing myself while you worked your fingers to the bone at the Early Dawn Poultry Farm. One of my favorite pass-times wast decorating your basement as if I were a bonafied ‘interior decorator.’ And I remember my delight, when upon completion, you would nod your head slowly – while meticulously inspecting every nuance of my newest design with just the right measure of good-natured approval! And … for setting such an example of unconditional love as you cared for your brother – my disabled Uncle Art – who sometimes frightened me. He was bedridden, brain-damaged and disabled by an accident. I watched as you cared for him for countless years with such dignity and respect and you never asked for a speck of recognition. Hosting my wedding … for the endless hours and limitless love you put into making my day meaningful and memorable. Our budget was so meager, so you offered up your backyard. I had no idea how much I would appreciate all the little extra bits of love you wove into the tapestry of that day … including unexpectedly hiring the 2 piece band that played in the grass while the dancing heels aerated your grass. I still laugh when I think of you being bold enough to ask the Town Council of your small, rural home town to close down the public pool (located directly behind your fence) for 30 minutes so our outdoor nuptials would not be interrupted by the wet and wild Saturday afternoon swimmers. Discreetly paying for my mom’s cemetery plot because you knew I had no way of affording the cost myself. Most people would never have even thought about it … but somehow you did. Somehow straddling the heart-breaking family divide and tragic triangulation that resulted over your parents estate. You managed to provide a loving refuge for my mom … and for each and every other family member … despite the forever fractured family dynamics. You truly were my rock … my stability in a world run a muck … and … I think you knew it. But you never said a word. You just loved me and unselfishly filled in the gaps. I miss you. I really, really, really miss you. And, I really, really, really thank you. You were hundreds of miles away for most of my life … but … only inches from my heart. You still are. It’s been 24 years since you unexpectedly passed, and yet, you remain unmistakably ‘felt’ within every aspect of my beingness. 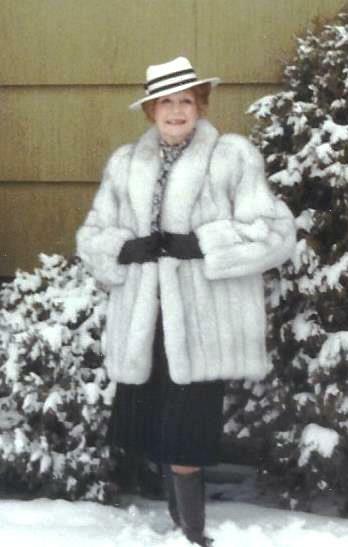 Aunt Mil, I am so much better because of you … and your love … and the beautiful light in your eyes which invited me to embrace life and shine on and be courageous … regardless of the circumstances! Thank you for being a model of energetic potential and enthusiastic possibility. Thank you for that. Really. I really needed that … but, then again, somehow you always knew what I most needed. Seriously Karen…this is so beautifully written….and it makes me want to know so much more about Aunt Mil. It sound like she was definitely a woman way ahead of her time! It’s obvious that she has had such a profound influence on your life and the person who you have become today! Thanks for continuing to post…so enjoy immersing myself in your writing!